Holy Trinity church was originally a brick-built barn, which was converted to a church in 1836 by adding north and south transepts. It was further improved and extended in 1863, and was consecrated on 22 November 1863. It was known at one time as New Fens Chapel. 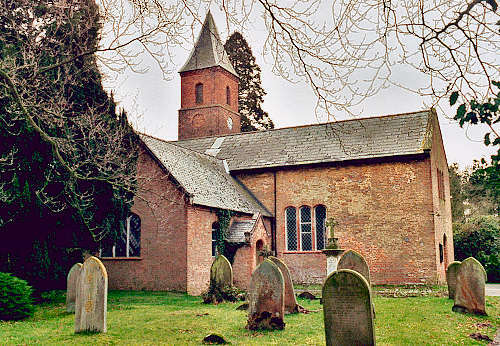 For family history information about the church and parish, visit the GenUKI Bronington page.